Born: January 1867, Gairloch, Scotland, United Kingdom. Died: 28 January 1920, Johannesburg, South Africa. Donald Macaulay obtained the degree Master of Arts (MA) at the University of Edinburgh in 1887. He then studied medicine at the same institution and qualified as Bachelor of Medicine (MB) and Master of Surgery (CM) in 1892. After working as assistant to the professor of medicne at Edinburgh for five years he came to the South African Republic (Transvaal), where he was admitted to practice in 1897. He worked as part-time medical officer for the Jumpers' Deep Mining Group at Denver, but resided in Johannesburg. During the Anglo-Boer War (1899-1902) he served as a civil surgeon in No. 7 General Hospital, initially at Estcourt. After the war he was appointed as a member of the Inter-Colonial South African Native Affairs Commission (the "Lagden Commission", 1902-1904) which was concerned with health matters on the mines and particularly the high mortality rate from lung diseases among mineworkers on the Witwatersrand. Macaulay's investigations into matters affecting the health of mine workers, partly in collaboration with Dr Louis G. Irvine*, led to several publications. Irvine and he read a comprehensive paper dealing with the recruitment of native labour for the mines, their work and living conditions, sickness and mortality, at the joint meeting of the British and South African Associations for the Advancement of Science in 1905. The paper was included in the Addresses and papers... published after the meeting as "The life history of the native labourer" (Vol. 3, pp. 342-367) and was also published in the journal Epidemiology and Infection (190). Later in 1905 Macaulay and Irvine published the first part of another important paper, "Safety measures in mining", in the November issue of the Journal of the Chemical, Metallurgical and Mining Society of South Africa (Vol. 6, pp. 148-156). This paper was widely discussed and contributed much to improving working conditions in the mines. As a result of this and other contributions Macaulay and Irvine came to be accepted as the outstanding authorities on miners' phthisis. Macaulay also published "Gassing by dynamite fumes with special reference to poisoning by nitrous fumes", in the Transvaal Medical Journal (1906). He became an associate of the Chemical, Metallurgical and Mining Society of South Africa in 1898, was elected a member in 1903, served on its council for1906/7, and as joint vice-president for 1907/8. 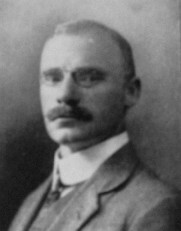 By 1906 he was a member of the South African Association for the Advancement of Science, and was still a member in 1910. He belonged also to the Transvaal Medical Society, serving as its president for 1905-1906. In 1906 Macaulay became full-time medical officer to the Geldenhuys Deep and New Heriot Deep companies. That same year he entered politics, representing the Denver constituency in the first Legislative Assembly of the Transvaal Colony - though he lived in Cleveland, Johannesburg. He campaigned for the compulsory medical inspection of school children and spoke on public health matters. He also retained a keen interest in the health of mineworkers and in 1909 investigated scurvy and pneumonia among mineworkers in Rhodesia (now Zimbabwe). His findings were presented in evidence before the Mining Regulations Commission the next year. After the formation of the Union of South Africa in 1910 he represented the Denver constituency in the House of Assembly as a Unionist from 1910 to 1915, speaking often on health matters. In 1912 he was elected the first president of the newly founded Medical Officers' Association of the East Rand. During World War I (1914-1918) he served as medical officer on a hospital ship between South West Africa (now Namibia) and Cape Town and was honoured as an Officer of the Order of the British Empire (OBE). He died in strange circumstances, being found dead under the wheels of his own car. He was married to Margaret McKenzie, with whom he had two sons. Dr Macaulay should not be confused with another Donald Macaulay, also born in 1867, who came to South Africa from Scotland in 1902 and was a chemist. Chemical, Metallurgical and Mining Society of South Africa. Journal, 1905-1908, Vol. 6-8; 1920, Vol. 20, p. 129, (brief obituary note). National Automated Archival Information Retrieval System (NAAIRS). http://www.national.archives.gov.za/naairs.htm Documents relating to Donald Macaulay / Dr Macaulay. Pietermaritzburg Archives Repository, Vol. NMC 34, [list of medical practitioners, etc., in the Transvaal, as on 31 December 1914]. South African who's who, 1908, 1909, 1917/8, 1919/20.